The last thing a landlord wants to do is evict a tenant; however, it’s sometimes unavoidable. When tenants destroy property, break laws, or don’t pay their rent on time, and warnings aren’t serving to change the tenant’s behavior, an eviction may be in order. Under Michigan law, you must have certain grounds for eviction, and there’s a process you need to follow. What Are the Grounds for Eviction in Michigan? While the grounds for eviction are fairly straightforward, they do differ somewhat for federally subsidized housing and mobile home parks. 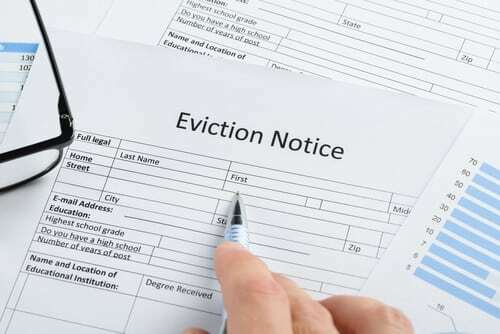 Landlords don’t often look forward to notifying their tenant of an eviction. Under Michigan law, landlords must give tenants advance warning that they will be evicted, typically at least seven days before the process is started, but the notification period differs. If the tenant broke the lease, the notification period must be 30 days. If the tenant is using the property for drugs, the notification period is just 24 hours. The eviction notice must be done in writing. A landlord can deliver the notice directly to the tenant or mail it, and in some cases, the landlord can deliver the notice to another person who lives at the residence, so long as he or she is not a child. The reason for the eviction and the deadline must be written in the notice, and if the tenant does not comply, the landlord has the option to file a notice in court. Knowing how to properly evict a tenant isn’t something that every landlord is familiar with. If you need to evict a tenant, don’t hesitate to contact Piper Legal for guidance. We can assist you in the eviction process and will zealously represent you in court should your tenant refuse to comply. Call today to learn more at (844) 55-PIPER or 810-235-2558.